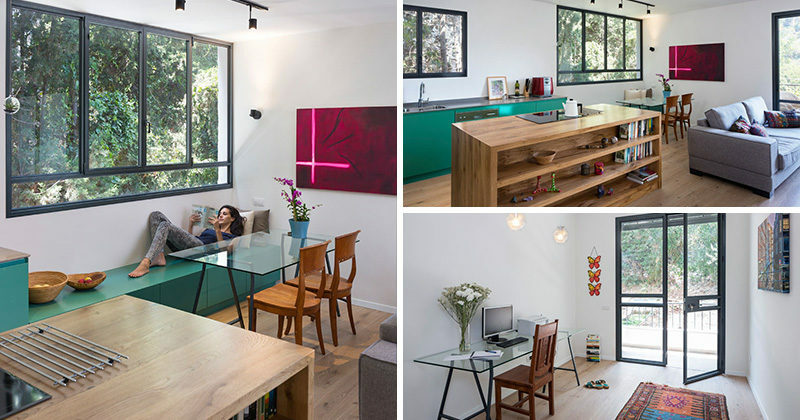 Architect Tal Losica, has designed the interior of a small apartment in Haifa, Israel. Upon entering the apartment, the wide hallway allows for a small home office space by the black framed, glass front door. Arriving to the living room, a wood island with built-in book shelves, defines the kitchen area, while a gray couch sits in front of the TV wall, which has black track lighting and floating black shelves to allow for extra ornamental displays. The wood island with green cabinets also functions as a stove top and has a built-in oven. The same green cabinetry is used along the walls. Track lighting and black framed, glass windows have been used to add more light to the kitchen. The green cabinetry extends into the dining area in the form of a bench to provide extra storage and seating. 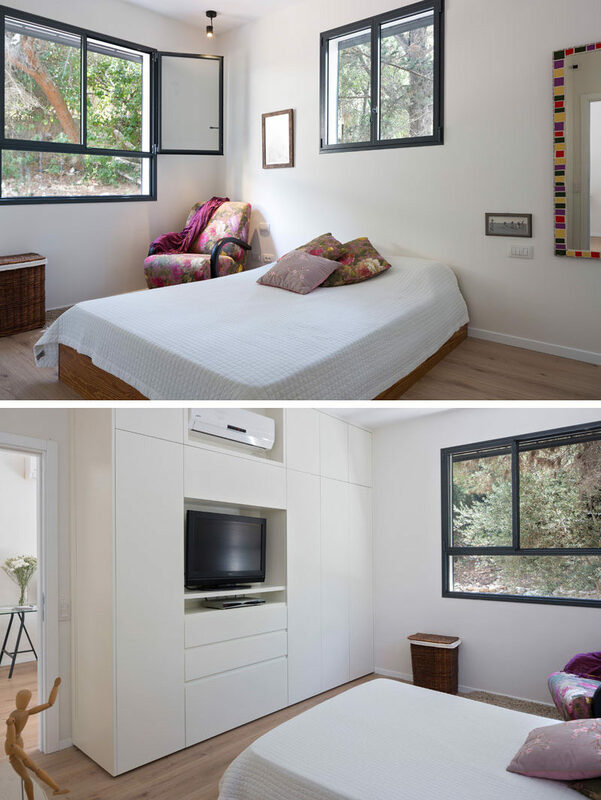 In the bedroom, black framed windows are used again to emphasize the trees outside. 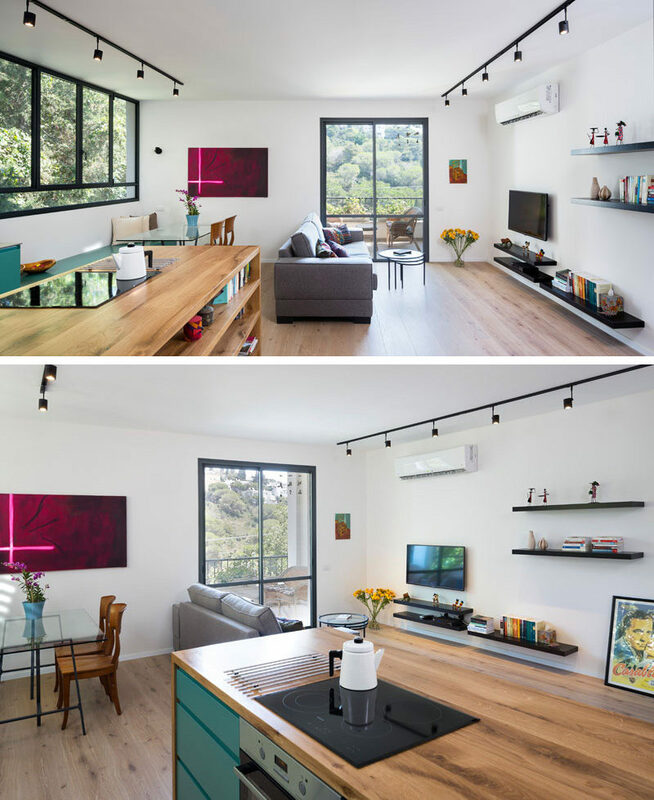 White cabinetry blends in with the walls, making the space feel larger than it is. A pink floral patterned chair, and pillows bring a splash of color to the room. 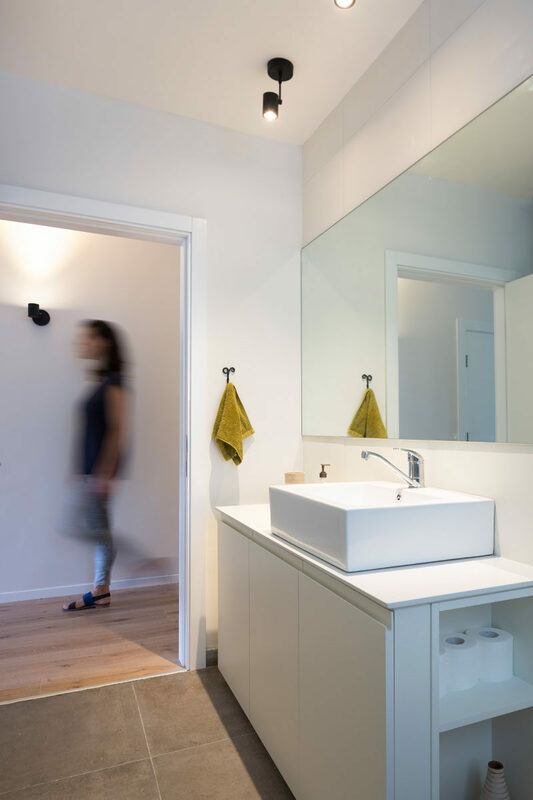 In the first bathroom, a large mirror hangs above a square white sink, while cabinetry below it has open shelves on one side. In the second bathroom, a white countertop sink with pull-out drawers is placed opposite the window. 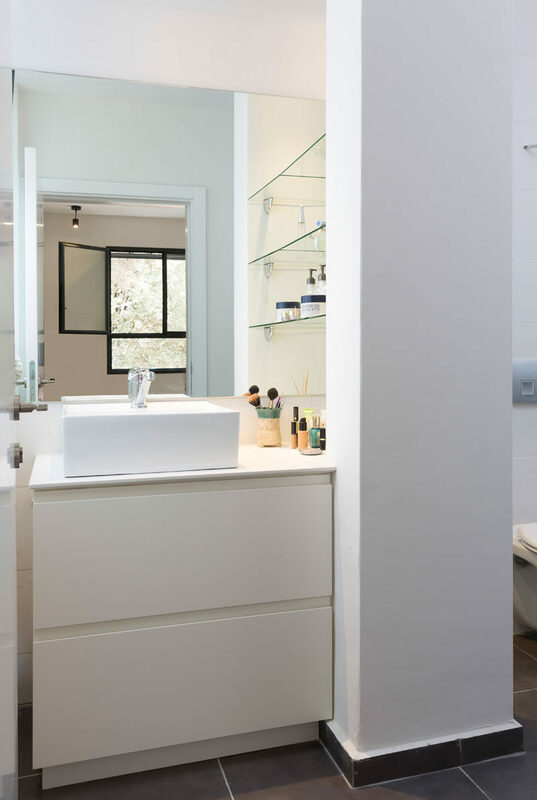 Accessible glass shelving has been placed to the right of the sink, separating the vanity from the toilet.